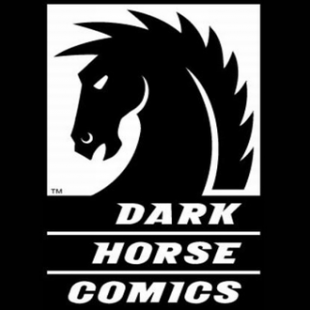 Publisher Mike Richardsone says that Dark Horse is in talks with creators about adding new books to the company's line-up. One of the biggest bits of comic news to drop earlier this year was the announcement that the Star Wars license would be leaving Dark Horse, where it has resided for more than 20 years. The move was far from a surprise. In fact, with Disney's 2012 purchase of Lucasfilm, many assumed it was only a matter of time before it shifted the rights to Marvel, which the company also bought in 2009. That being the case, many fans were left wondering how the rights transfer would affect Dark Horse's direction going forward. According to publisher Mike Richardson, the answer is simple: more creator-owned comics. "From the beginning our whole approach was to find creators free of the traditional 'Big Two' yoke," said Richardson in a recent interview. Moving into 2014, Richardson hopes to remind the world of this and reinvigorate Dark Horse's creator-owned vision. "We're back putting a big focus on creator-owned," he said. "We want creators to do the best work they've ever done and to help them publish great books. We want to create an environment that helps them do the work they'd like. We're working right now with many creators, and I think that gets lost in the news that we're losing Star Wars." What this refocusing will mean for Dark Horse's readers is a future roster potentially teeming with new books from a wide array of writers. "We've got a lot of new creator-owned books on tap for this year, and we're going to go after many more," said Richardson. "We've made it our goal for the year to strengthen that creator-owned line and find strong titles to add and artists and writers who can join the great creator-owned visions we have right now."